+ a Bonus track with Pär playing a piece by Mozart at the age of 14 years. Arno Babajanjan, Johann Sebastian Bach, Ludwig Van Beethoven, Johannes Brahms, Dietrich Buxtehude, Francois Couperin, Louis Couperin, Georges Ivanovich Gurdjieff, Pär Lindh, Wolfgang Amadeus Mozart, Bernardo Pasquini, Domenico Scarlatti, Carlos Seixas & Jaan Pietersoon Sweelinck. Pär Lindh along with superb soloist Verity Gunning and his PLO orchestra performed neobarocque composed by Pär Lindh (no covers!) 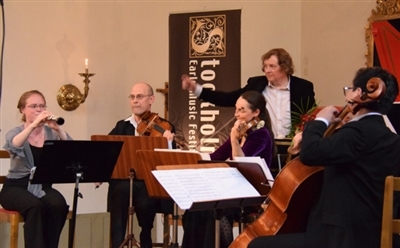 at Stockholm during the Stockholm Early Music Festival june 2015. Thunderous applause for this neobaroque consert, encores and just fantastic responce from audience! But where was the mainpress and media? Is modern quality classical music of no interest of the old tired mainstream media any longer? However the new and fastest groving newspaper in sweden Nya Tider (New Times) was there and wrote an two page very positive article about this unique event. 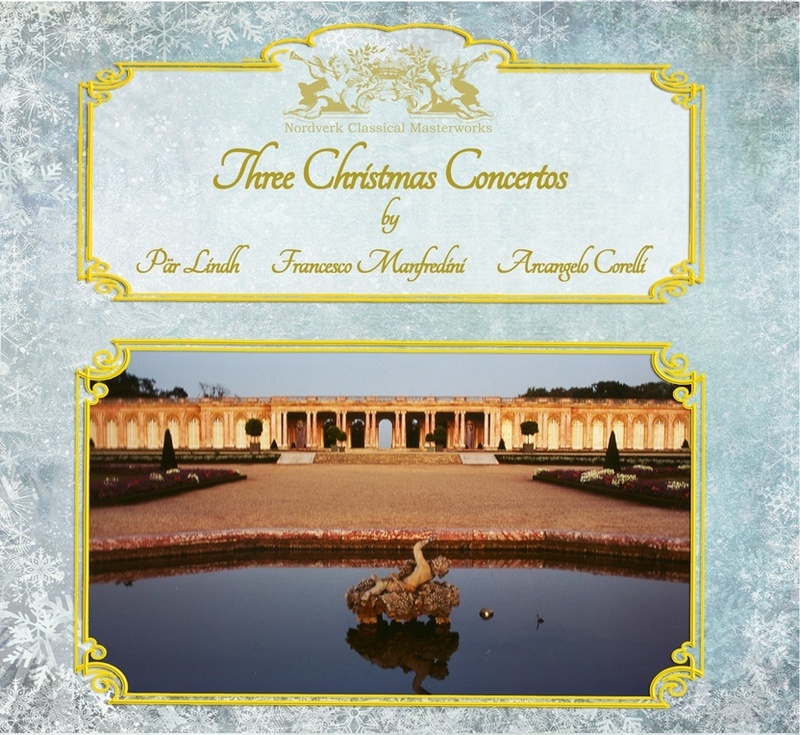 In october 2014 ¨Three Christmas Concertos¨ was released. This CD includes Lindhs new concerto in baroque style ¨Then Svenska Julkonserten¨ as a first ever on a new record label Nordverk Classical Masterworks! ¨To my very small selection of enjoyable christmas recordings I now place this CD by Pär Lindh with refreshingly vital versions of concertos by Lindh, Corelli & Manfredini. Best track of the album: Then Svenska Julkonserten. Quite a few music lovers enjoy Antonio Vivaldis cycle ”The Four Seasons” for a great start to a new day at work. The fresh cheerfulness seems contagious … If you appreciate this, Pär Lindh gives you exactly this with his new album ”Three Christmas Concertos” . This lovely release is the perfect accompaniment for a Christmas dinner at home with your family. ¨The four-movement classical work by Pär Lindh, has a keen sense of drama, suspense and atmosphere. 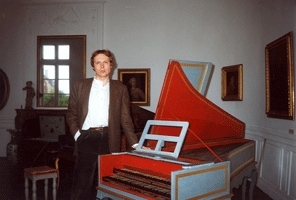 During the past decades Pär Lindh has toured as classical musician in Europe and the Americas where he has given hundreds of soloconcerts as Harpsichordist, Concertpianist and Organist. 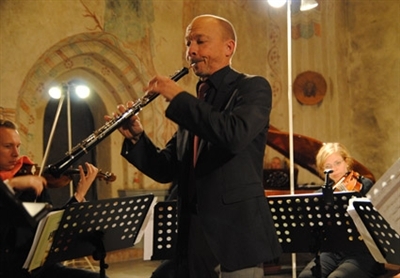 He has toured extensively in the Americas in Brazil, Argentina, Mexico and in the USA on over a dozen occations both as classical soloist as well as the leader of his music ensemble The Pär Lindh Project. Concert tours in Europe includes countries like Germany, Italy, France, England, Portugal, Belgium and Scandinavia. Pär Lindh began playing the piano at the age of five but serious lessons on the piano and churchorgan began at the age of nine. By the age of sixteen he had already studied for many prominent teachers in sweden and were giving recitals on organ, harpsichord and piano as well as working parttime as organist in several churches. At the age of eightteen he was invited to become the youngest ever member of the Royal Swedish Chamber orchestra a position he held for four years performing over a hundered conserts in the royal palace in Stockholm as well as doing tours in europe. 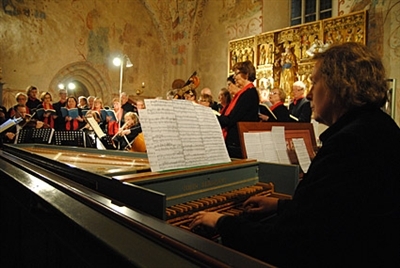 Pär was invited to study at Schola Cantorum in Paris and in 1980 he moved to Paris to study the highest levels of the school where he also took a soloist diploma. 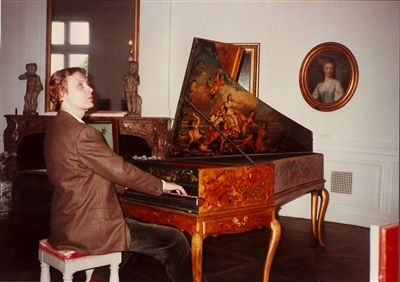 Having recieved two years in succession the french gouverment´s cultural grant for exceptionell talent Pär decided to stay on in france pursuing a carréer as baroque musician mostly performing conserts on the harpsichord but also as organist and pianist. 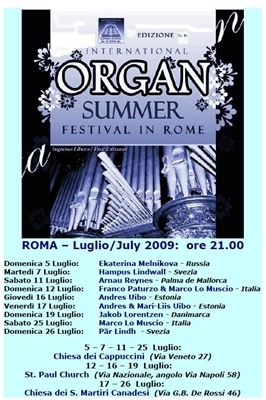 All in all Pär has over the years studied for some thirty prominent keyboard teachers of which half was of international fame like Marie-Claire Alain, Kenneth Gilbert, Luciano Sgrizzi, Huguette Dreyfus, Ton Koopman (masterclass), Inger Grudin-Brandt and Ani Gazarian who was a pupill of the great Alfred Cortot (Cortot studied for Émile Decombes who was a student of Frédéric Chopin). Pär was also the last person to take lessons for the great Ruggerio Gerlin who had been Wanda Landowska´s foremost pupil. Thus of all keyboard players of our time and age few if anyone can claim to have quite the same extraordinary knowledge and profound insights of keyboard playing as does Mr Lindh. From the late seventies to the early nineties Pär performed classical conserts in France, USA, Germany, Italy, Sweden, England and Estonia. He loved to play the harpsichord in french chateaux and was invited to do so on many occations. 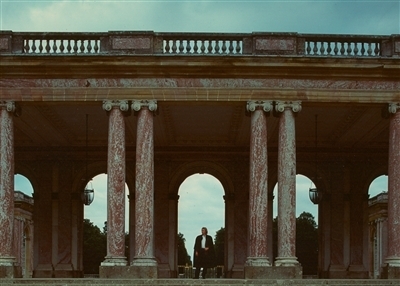 He was also asked to play as soloist for many prominent people like the Michelin family at their Paris residens. In 1984 Pär was asked on short notice to play for the two president´s Ronald Regan and Francois Mitterand at an Elysée palace dinner as replacement for William Christi who had mysteriously dissapeared. However shortly before the event Mr Christi reapeared so Pär could quitly take the day off and put the whole affair on the missed opportunity list. In 1988 Pär performed a string of successful conserts in the USA as Sweden was celebrating it´s 350 year arrival of the first swedish ship, Kalmar nyckel, to arrive in the US. (well the vikings were there some 600 years earlier!). The Swedish King and Queen were present as were many other swedish celebrities. In the early nineties Pär decided to change musical direction and pursue and old dream of integrating the classical musical formats into a more modern genre namely that of progressive rock or artrock. After a 15 year successful run with his legendary ensemble The Pär Lindh Project (PLP in short) where he toured and headlined festival after festival in both north and south america year after year as well as doing european tours. Pär has now returned once again to a classical carréer. Read what a French critic wrote after one of Pär´s concerts where he played on the famous Couchet-Taskin harpsichord from 1778.
phrasing so well adapted to the feel of each piece he plays. He has found the ideal tempos for the Partita in a-minor by Bach and plays with a certain restrain and feeling of introspection which increases the emotion. His version of the Pavanne by Louis Couperin was remarcably rendered with the utmost finesse in the noble cadencas and with French elegance. a superior way gave the audience many examples of. 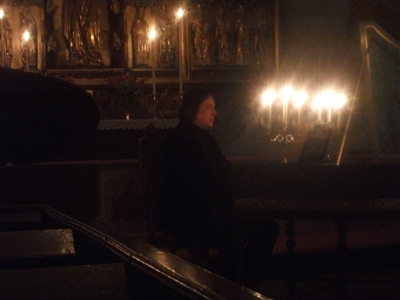 And it was with five sonatas by Domenico Scarlatti that Monsieur Pär Lindh ended this excellent concert. of a goldsmith each of these harmonically and rythmically rich pieces. Pär Lindh, stole the equipment show by sitting in on the house concert organ. His sound added a new degree of boneshaking meaning to the phrase ¨Pedal Tones¨. 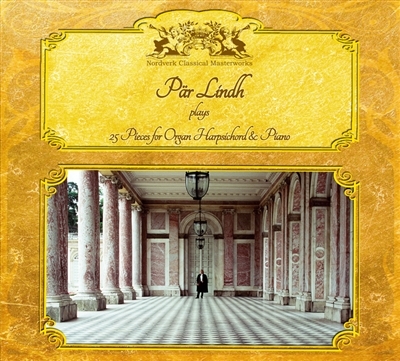 Pär Lindh played as if he was both trying to reweal the special qualities from the piano that would motivate one to play on an instrument that didn´t exist during Bachs time andalso with a delicate touch which gave the right clarity to the music. Not unlike Glenn Gould acctually. Thank you for the beautiful concert at the Swedish Club in Paris which really was a feast. Pär Lindh is the Scandinavian king of the keyboards. The greatest composer & artist to emerge in the nineties!